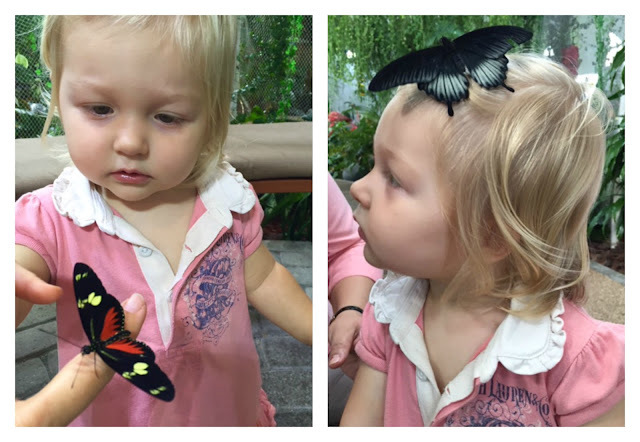 Yesterday morning, on a spontaneous idea, we decided to visit The Butterfly Garden. Pappa is travelling, it’s just me and the girls this weekend… Up and ready to go by 9am, we arrived around 9.30 on a quite Friday morning, a gorgeous Sunny Dubai winter day! The Butterfly Garden is part of The Dubai Miracle Garden, an attraction we will come back to and visit on another occasion. 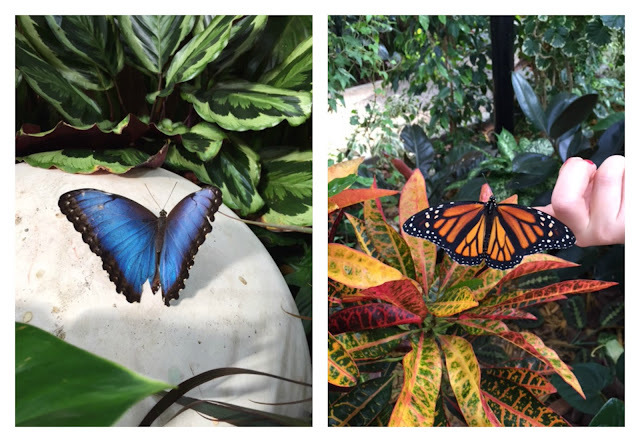 Along many variety of flowers, visitors get to walk around thousands of beautiful brightly coloured butterflies. The circular garden, currently feature three domes, decorated with flower displays and are home to a range of butterflies in various colours, sizes and species. The domes are climate-controlled, giving the butterflies a comfortable environment and allowing the domes to be open year-round. We spent about two hours at The Butterfly Garden. 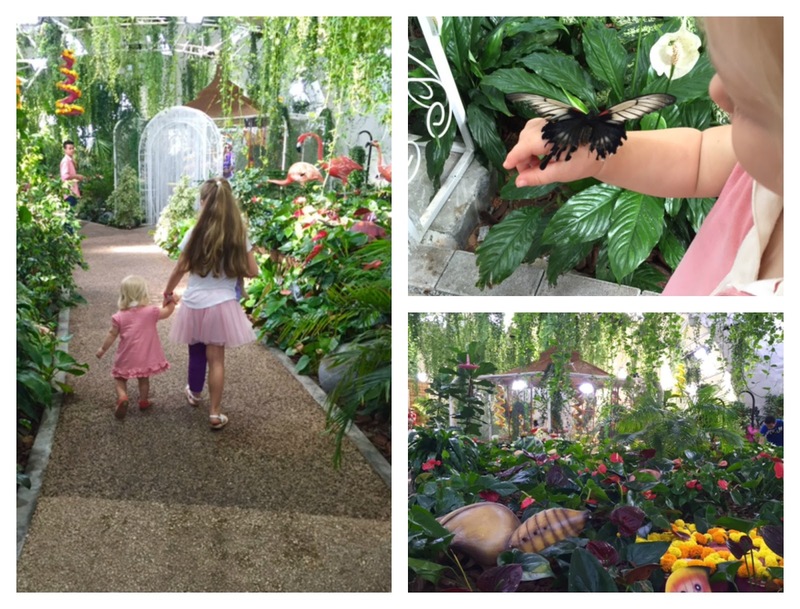 It’s lovely to walk around the domes, looking and staring at butterflies. We had a little snack from the coffeeshop in the outdoor garden and had a look at the little butterfly museum (room before the domes entrance). 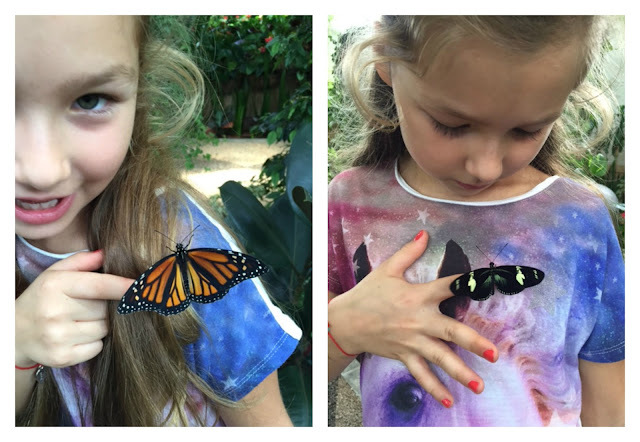 Children will love to “hold” a butterfly or become the landing spot for some of the 24 different variety of butterflies from different countries. and 9am to 11pm on Friday and Saturdays. 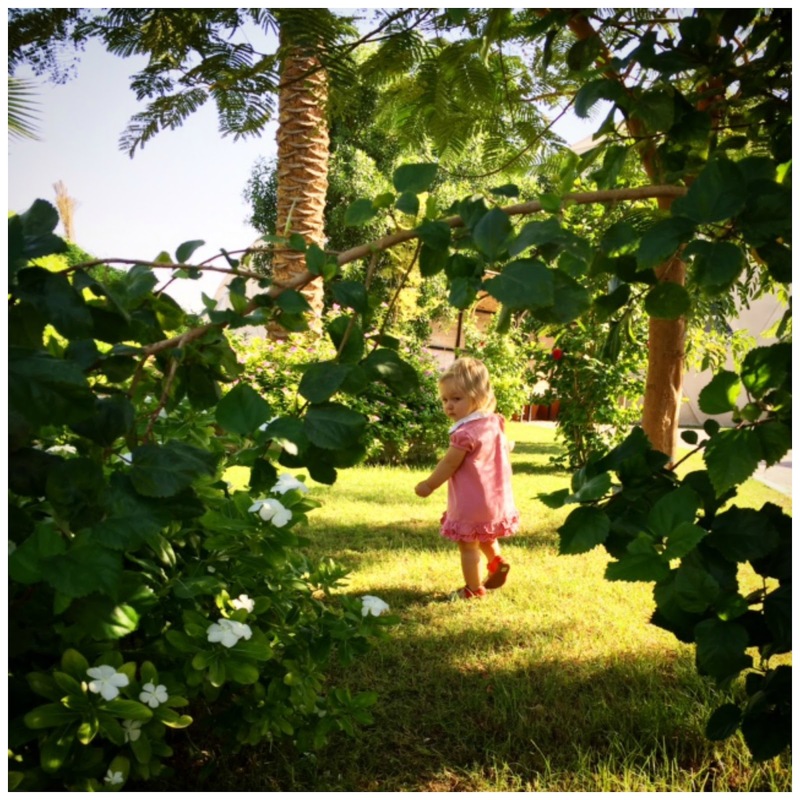 Regular admission is Dh30 per person. 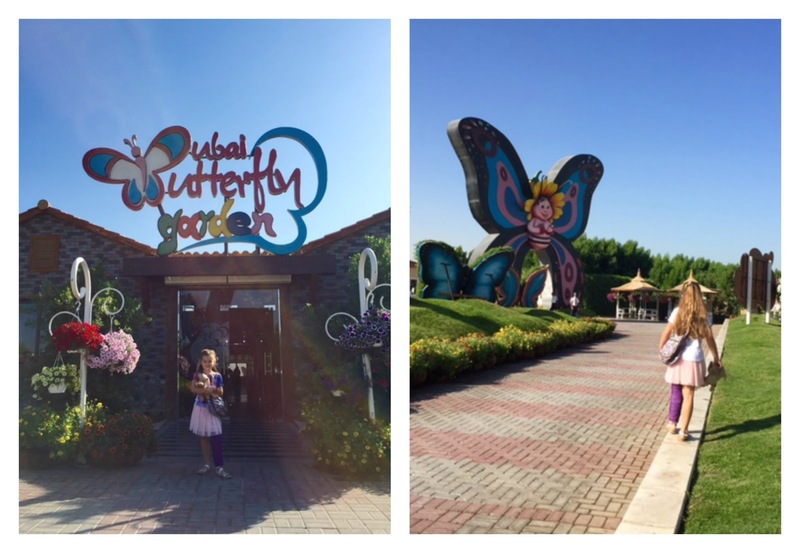 Butterfly Garden id Dh50 per person. Entry is free for people with disabilities and children three and under.